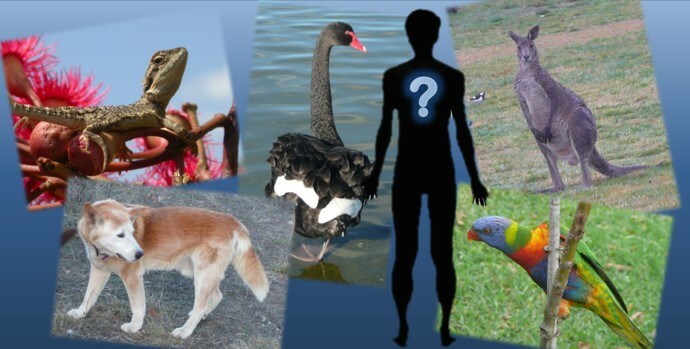 HOMO SAPIENS: If man was created, can man be classified as an animal? After a discussion with a Christian about humans and animals I would like to ask: From a scientific point of view are humans known as animals? Living organisms are currently classified by the scientific community into five major groups, or Kingdoms: bacteria, single celled organisms (e.g. amoeba), plants, fungi and animals. Because the human body has many physical characteristics in common with what we think of as ‘animated creatures’ i.e. animals, in the way we can move as well as in the way our cells function and work together, humans are classified in modern science as animals. However, classification is simply a method of organising our knowledge of the living world, so how did we get it, and what does it mean? Provably, yet surprisingly to many, the scientific classification system has its original roots in the Bible’s teaching on creation. This is even admitted even in the scientific literature where you can read in the prestigious scientific publication Nature: “The earliest case of systematic naming occurred about 6,000 years ago, when God brought all his newly fashioned creatures to Adam, ‘to see what he would call them’ (Gen. 2:19).” J. L. Heilbron, Worcester College, Oxford, Nature 415, 585 7 February 2002. Genesis records Adam being instructed by God to name the animals and birds that God brought to him. (Genesis 2:19) This mandate to name things was reinforced when God authorised the first man and woman to have dominion over all other living creatures. If you have authority over something, you have a right to give it a name. The inventor of the modern day classification system, Carl von Linne (1707-1778), who is better known by the Latinised version of his name, Linnaeus, was a Bible believing Christian who believed God created the separate kinds, as described in Genesis. The biological classification system is still referred to as the Linnaean system. It should therefore surprise no one that the English word kind, which is first used in Genesis in 1:11, is in the Latin Vulgate Bible as the word genus. This Latin word genus is derived from an Ancient Greek word γένος, Anglicised as genos, which you read in the Old Greek version of Genesis in the Septuaguint, means race, stock, kin or kind. Genesis 1 says ten times that God created living things according to the kinds, and this was Linnaeus’ inspiration. His system worked and still does, which is why even the author of the theory of punctuated evolution had to concede “…our ability to classify both living and fossil species distinctly and using the same criteria, ‘fit splendidly with creationist tenets’.” Stephen Jay Gould (Professor of Geology and Paleontology, Harvard University), “A quahog is a quahog”, Natural History, vol.88 (7), 1979, pp. 18-26. The most basic biological classification we give any living thing today is expressed as a Genus name followed by a species name. For example: all dogs, including wolves, jackals and other wild dogs belong to the genus Canis. The word ‘genus’ (plural: genera) is used for a class of things which have common origin and characteristics but which can be divided into subgroups (species) for a distinct feature i.e. the red wolf is Canis rufus. In some cases the species is divided into smaller groups, or subspecies, e.g. domestic dogs are named Canis lupus familiaris. In the classification system the genera can also be grouped in larger artificial groups according to common characteristics, e.g. canines are combined with all animals that have fur and produce milk into a group called mammals. Mammals are combined with other animals with backbones and called vertebrates. This system is useful for organising our knowledge of living things, but the groupings are a purely man-made invention and have nothing to do with origins of the living things that are placed in these ‘higher order’ groups, i.e. the classification system is not a “family tree”. After evolutionists took over biology they hijacked the classification system, and used the artificial tree-like arrangement as evidence of lines of descent from an original living cell that gave rise to all living things, including human beings. We predict that because God created things in separate unrelated ‘Kinds’ or Genera, that there will need to be as many Kingdoms as there are Kinds, (a currently unknown figure) so the best classification system will prove to be a multi-Kingdom arrangement. For more details on the differences between plants and animals see the Creation Research article Biblical Biology: Questions of Life and Death. Dowload PDF here.